Mohamed Fahmy was in Montreal on Thursday for Concordia’s homecoming key lecture series as a speaker. The Concordian had the chance to interview the award-winning journalist who has worked for media outlets such as CNN, the BBC and Al-Jazeera. A little over a year ago, Fahmy was released from prison in Cairo, Egypt. He, along with two of his colleagues at Al-Jazeera, were accused of being terrorists. The journalists were arrested in December 2013, found guilty in June 2014, and were incarcerated for over 400 days. 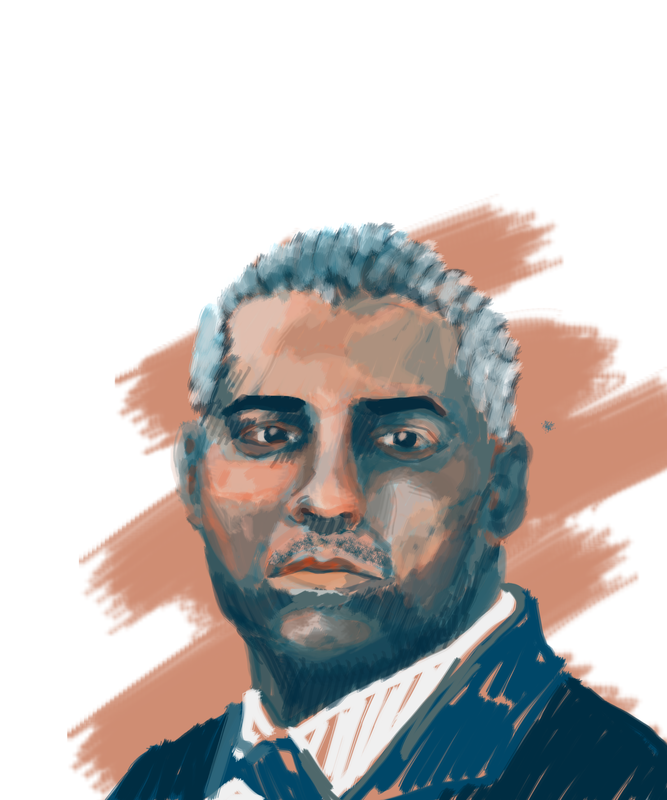 In 2015, following his release, Fahmy started the Fahmy Foundation alongside his wife, with the goal of fighting the suppression of the press. Now, he is ready to get back into journalism. The Concordian: In an interview with the CBC, you said the Canadian government could have done more to help you get out of jail. How did they help you back then, and has their process changed at all since? Are they able to better serve Canadian journalists in these situations now? Mohamed Fahmy: Once I landed in Canada, I thanked the councillors and ambassadors for doing such a great job. I felt they were shackled, with Ottawa’s conservative approach then. When I came out of prison on bail, so many Canadian people were already criticizing the government, which I felt ministers were delegating their responsibilities to junior ministers. I was very open in my constructive critique, calling the government to take a more direct stance. The government said that quiet diplomacy worked better— I felt they should be using quiet diplomacy, and also, carpet bombing diplomacy. For this exact reason, we started the hashtag campaign #HarperCallEgypt on Twitter which was very successful. I believe that after, the government had a more aggressive approach to my situation. Having said that, with the government today, I believe they are much, much more engaged internationally and they are very responsive to urgent calls from worried families. We were able to bring back Kevin Garratt from China after two years, after unfair accusations and detention that were unfounded. The Liberal government was also able to bring back Khaled Al-Qazzaz, a permanent resident in Canada, who was released after two years. I do feel that the liberal government has been responsive. I presented my protection charter in Ottawa that I’ve written with Amnesty International. We partnered together and presented the charter to the Liberal government with one of the main goals of the charter [being] to improve councillors’ services for Canadians abroad with better protection. TC: It must be hard to get into, but what was it like adjusting to life in prison? What was the greatest difficulty? Fahmy: Fortunately for me, I was not tortured in any way but the prison conditions at the Scorpion Prison were a psychological torture. I was in a terrorist wing with members from Al Qaeda, ISIS and extremists, with maximum security. I was living in solitary confinement with a broken shoulder and no bed. The situation got better with the support from Canadians and the diplomatic armies across the world. It became obvious that it wasn’t about the three of us anymore, but the value of the press freedom and what it meant to a true democratic society. Also, your mind is your most dangerous enemy at that time, and keeping your mental, spiritual and physical sides intact and balanced is very important. That’s why I keep telling people that even if they are an ocean away, they can still support innocent prisoners on the other side of the world. It may sound small, but signing petitions, rallying and involving the media is extremely important for the sake of each people abroad. For example, my lawyer used these petitions in court to convince the judge that I had a whole continent behind me and that I was not a terrorist. Also, to add, my family and the guards were telling me that there were hundreds of people supporting me outside, which helped me not to give up. TC: What was the hardest part about writing your new book The Marriott Cell: An Epic Journey from Cairo’s Scorpion Prison to Freedom? Fahmy: The hardest part was revisiting the solitary confinement, the unfair trial and the televised arrest. We interviewed prisoners during my time there, which I included in the book. I explained what Amal Clooney, my lawyer, was doing for the case and how my wife was smuggling notes in and out of the prison. I also wrote about my return to Canada and how we take freedom for granted as Canadians. TC: What advice would you give people in a similar situation? Fahmy: The advice I would give to their families is that they should continue to engage with the media in order to humanize the stories of their loved ones, and to continue to keep the attention on them. They should take advantage of all the strategies that they can. TC: After the process you went through to renounce your Egyptian citizenship, why would you want to get it again? Fahmy: After returning to Canada, I applied for my citizenship again through my lawyers. After six months, I finally got it back. It was very important to me because, in a way, it was like the Egyptian government was giving me vindication. It was important for me to get it and get out of this experience with the least political and professional damages as possible. I did not do anything wrong, and I would like to report the news one day there again in the future. TC: How have your views on journalism changed since your release? Fahmy: I am now more convinced than ever that what we do, as journalists, is extremely important. It helps people who are oppressed. Our task definitely makes the world a better place—what we do is an honourable mission, and I will continue to do so and soon engage in a new journalistic opportunity.